Now serving southern-inspired, locally sourced dishes for breakfast, lunch, and dinner. Celebrate 50 Years of Love with limited-time savings. One Bedroom and Studio Suites with kitchenettes and great rates for extended travel. 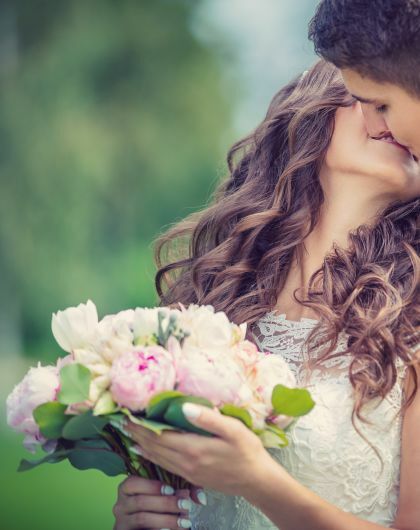 Plan your dream Shenandoah Valley destination wedding. 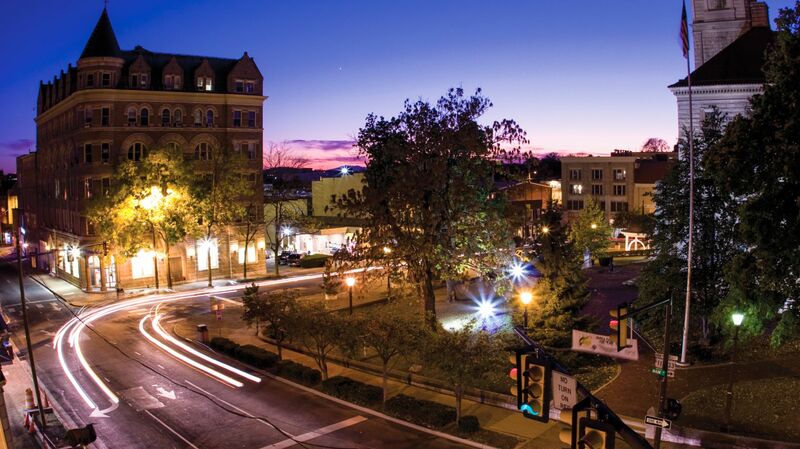 Just steps away from all the vibrant arts, culture & events downtown Harrisonburg has to offer. Located in idyllic Harrisonburg, Virginia in the gorgeous Shenandoah Valley, Hotel Madison & Shenandoah Valley Conference Center blends a sophisticated style with relaxing comfort. 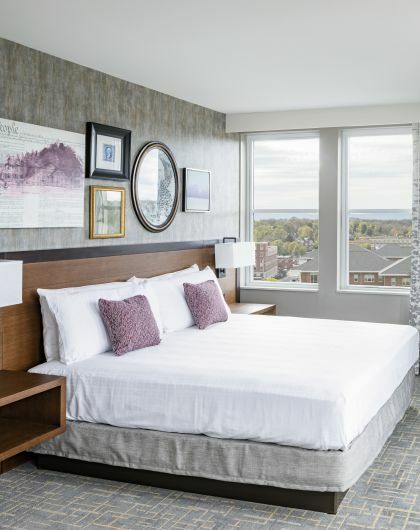 Featuring well-appointed rooms and suites with mountain and downtown views, as well as compelling dining, facilities and meeting space, this Harrisonburg hotel is an elegant and inspiring choice. 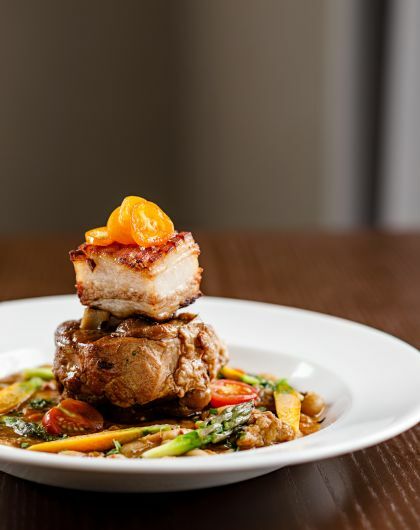 Regarded as a premier destination for Virginia business and leisure travel, Hotel Madison provides superior accommodations, event spaces, and staff services, perfect for a quick visit or long-term stay in Harrisonburg, VA. Guests will be pleased to find the Montpelier Restaurant & Bar located on the property, as well as a fitness center, business center, indoor pool, and guest laundry—the essentials for feeling your best at all times. 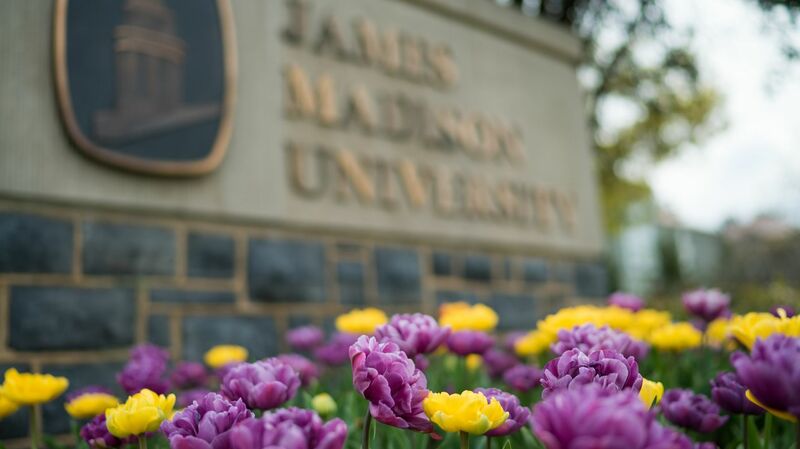 Hotel Madison invites you to surround yourself with our top-notch facilities, exceptional service and the energy of the James Madison University campus and downtown Harrisonburg. Delight in the convenience to the university, local businesses and mountain recreation. Relax with a glass of wine or a cup of coffee, and a variety of menu selections that will suit you. Each guestroom is designed with modern relaxation and conveniences in mind, including high-speed Wi-Fi, a sophisticated workspace, and smart technology to supplement the room experience. Extended stay travelers will find full kitchens and living areas, allowing you to fully invest in your time with us. We welcome you to experience our hotel and our hospitality. Book our serene and sophisticated guestrooms, and appreciate all the comforts and conveniences of the best Harrisonburg accommodations. We believe thoughtfulness defines the guest experience. With our high-end luxuries made to feel like home and a touch of contemporary rustic charm, treat yourself to a stay in our refined accommodations. Have it all, on the day that means everything. 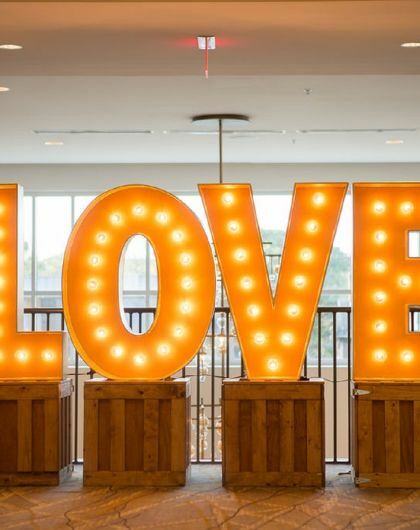 With its sweeping high ceilings, bright interiors, and sharp décor, the event space at Hotel Madison presents itself beautifully for the unique wedding in Harrisonburg you’ve imagined. Our staff is attuned to all that you’ll need for your special day, and will work with you to organize every detail, from the menus to the music. From reunions to anniversaries and holiday parties, Hotel Madison’s capacity for hosting events is unique in the Harrisonburg area. 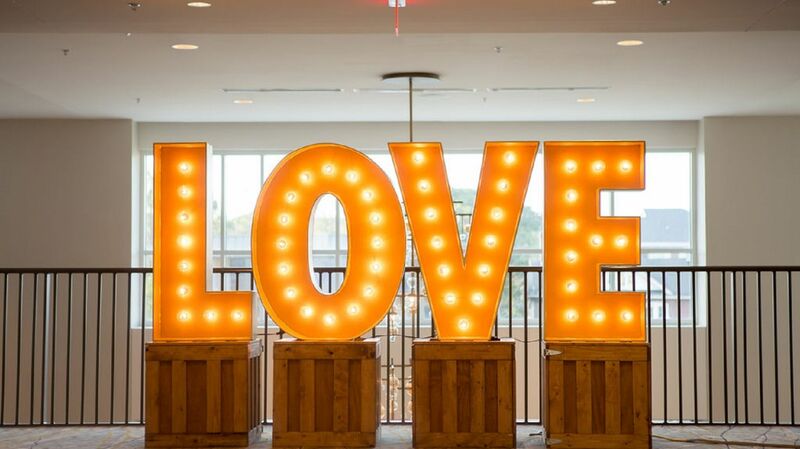 The warm approach of our staff, along with our willingness to work with you extensively to personalize your event, will help to make it a special one. 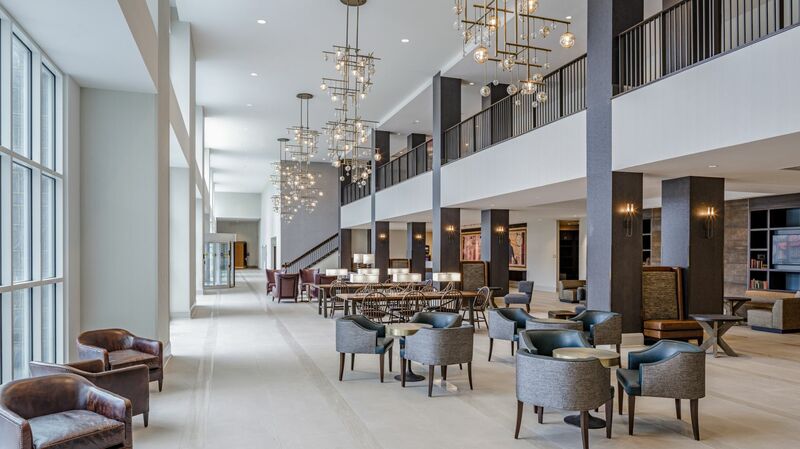 Featuring 21,000 square feet of space, The Shenandoah Valley Conference Center at Hotel Madison in Virginia has a true sense of personality. Using flexible space arrangements and a full range of outstanding services, our event team is here to ensure the success of your occasion. We have multiple boardrooms and meeting rooms, and flexible ballroom space, to fit the size of your meeting just perfectly. Our team is ready to make your planning role easy so you can concentrate on other matters. 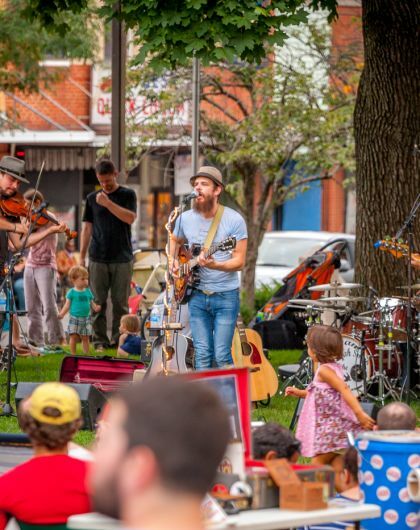 Home to one of the most renowned schools in the nation, not to mention outstanding cultural institutions and access to the Appalachian wilderness, Harrisonburg has come to symbolize the Shenandoah Valley’s singular appeal. A warm, generous attitude combined with tranquil surroundings work together to create a place where all travelers feel welcome. With local and regional attractions for the most adventurous explorer to the family visiting this special area, Hotel Madison is conveniently located in the middle of it all with easy access off I-81.